Call Of Duty Modern Warfare 3 hit shops this week and its popularity is already causing problems for those who sign up to the Call of Duty: Elite service. This subscription service offers users of the CoD franchise access to new map packs, DLC and offers up tonnes of new data about online matches. Since the launch of Modern Warfare 3, the service has been suffering under the pressure of new subscribers, with the official Call of Duty Twitter feed noting that this surge is causing registration and log-in issues. In a later tweet, the feed goes on to note: "Beachhead & operations teams working around clock to increase Elite reg capacity asap. Pls check http://www.callofduty.com/elite/status for updates from devs." 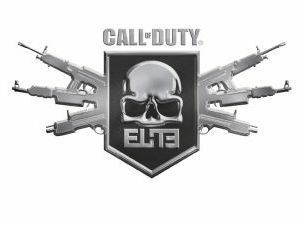 The elite Service Status page explains the situation in more detail, saying: "We are proud to say that Call of Duty Modern Warfare 3 has launched and millions of people are already playing online. "Registration requests for our new live service Call of Duty: Elite are exceeding even our most optimistic expectations, which is creating a bottleneck and some players have not been able to register. "We have already registered hundreds of thousands of players and we are working around the clock to increase our capacity as quickly as possible." To alleviate any fears of data loss because of the down time, Chacko Sonny, Studio Head, Beachhead Studio, said: "Please be assured your gameplay data is safe and that whenever you successfully register for Call of Duty: Elite, all of your data will be waiting for you. "So enjoy the game, start ranking up and we assure you we are working around the clock to accommodate every player who wants to be a part of Call of Duty: Elite as quickly as possible. We will update you frequently to keep you informed." The sheer popularity of MW3 has meant that some analysts believe the game will sell in excess of 6 million copies on day one – which is a 10 per cent growth on what Black Ops did last year. Call of Duty Modern Warfare 3 has been given a nine out of 10 from Official PlayStation Magazine, a score that reflects the raft of positive reviews across the web.